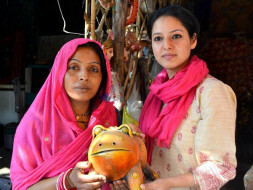 Rani Devi, an artisan from a small village in Rajasthan, now resides in Kumhar Colony, Delhi. Since she has migrated to Delhi she is struggling to manage daily meals for her family. She had moved to the city in hope of improving her financial and social conditions, but high cost of living is making that dream disappear. She is a highly skilled potter, who can make beautiful Matkas (vessels to store water), Gamlas (planters, flower pots) and Surais (pitchers). But while she is making beautiful art for all of us, she is struggling to bring meals to herself and her children every day. She has three children, for whom she aspires bright futures, but is facing hardships in attempting to make that happen. There are several problems that she and her fellow artisans are facing, and we need your help to solve those concerns for them. The clay that they get for making the pots is expensive and often not of good quality. Usually, small stones are found mixed in this clay leading to bruises on the artisan’s hands. The product that she makes doesn’t fetch her an income that she deserves. Middlemen sell her products at a rate which is more than three times the amounts she gets. Rani Devi and her fellow artisans don't have enough exposure to the commercial markets and hence, relies on these middlemen for their daily bread and butter. Handicraft being an unorganized sector makes Rani Devi and her fellow artisans' lives worse- they are constantly harassed by the neighbors; they don't get the much needed support from the government; they yearns to learn more skills which would help them build a sustainable livelihood but there are no arrangements for that. India is known for its diverse culture, art and tradition. We often take pride in our tradition and art. But despite several government schemes these traditional artisans are struggling for basic amenities. They are not even getting minimum acknowledgement. Handicrafts and Traditional Arts define the true identity of a civilization because the artisans of these crafts carry the legacy of their land and its culture, myth and religion in their art practices from generation to generation. Most of the National Award Winning artisans have glorified India in the world map, but they are also fighting for their livelihood. Now is the time to strengthen our resources, to stand by them, to get them what they deserve. Let’s join our hands and help India flourish more artistically, because art is our identity and art is our passion. Hence its artisans should not be forgotten. 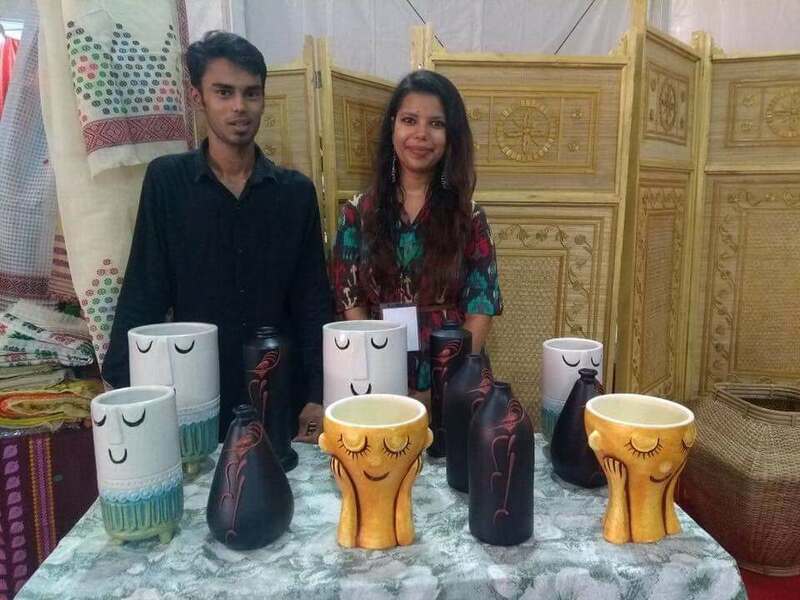 We will arrange exhibitions in different parts of the city where Rani Devi and her fellow artisans can showcase their products and get a direct selling market. We will provide them with high quality raw materials to ensure that the material doesn't cause any harm to Rani Devi and her fellow artisans; and they get a larger market after making better quality products. We will organize design workshops for the artisans to encourage them to create new product designs. The workshops will guide them in innovation based on current market demand and need. We will provide cost-free technical and other support to the artisans. We will take care of appropriate marketing and promotion of the works of these artisans so that they get more and more market for themselves. These funds will be used to promote market and customer linkages for these artisans. This would include procuring raw material, setting up exhibitions, transporting products for the artisans, and offline promotions (online we can do free-of-cost). With this design workshops will be organised to encourage them to create their own product designs. This would include inviting professional product designers to guide these artisans. All the usage of fund shall be reported directly to contributors via emails or social media platform (Facebook). We are going to participate in a corporate event and a fest in Delhi-NCR in Dec-Jan. The money is needed for booking the stall space there. 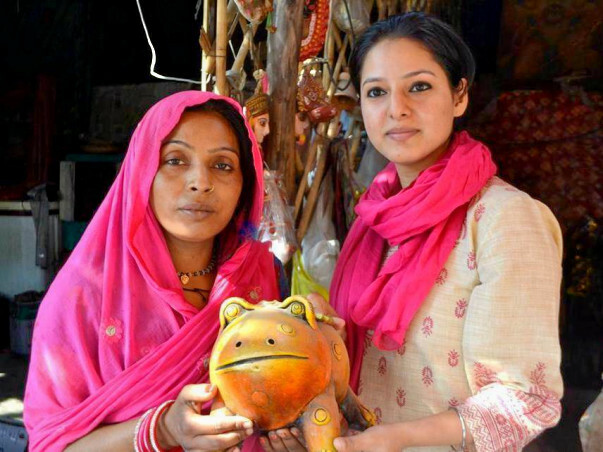 Artisans from Rajasthan, Bengal, Bihar and UP will be putting their products in our stall. This will help them boost their sales, get more customer connections and give market exposure to them. Thank you all for the support. Please continue sharing the campaign with your friends and family. Doing a great work! Keep it up!